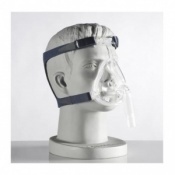 Sleep Apnoea Services provide a selection of CPAP devices including: APAP, CPAP and Bi-Level and patient interfaces and Mask Accessories and spare parts such as nasal masks, full face masks, nasal prongs. 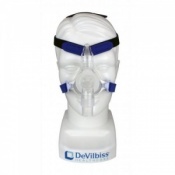 Your CPAP Machines can potentially require Mask Accessories. Sleep Apnoea Services provide a range of replacement parts and Mask Accessories for the devices available to order online. Contact our Sleep Apnoea Services customer care for further information or if you have any questions. 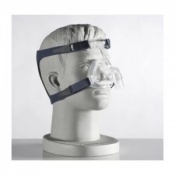 Browse the Sleep Apnoea Services range of CPAP Mask Accessories, including spare parts for a selection of products. We have spare parts for a selection of our CPAP Masks for the use with CPAP Machines, and an array of replacement parts. Having access to a range of humidifiers, spare parts and additional products for the ongoing, effective and comfortable Sleep Apnoea therapy helps to assist your treatment pathway to a better night’s sleep, and the myriad benefits quality sleep provides. If you have any questions about the Mask Accessories available, please contact Customer Care on 020 7720 2266 for further assistance.